Most affected by the president’s speeches are not always his core constituency but often his putative opponents. However, this opinion change by the non-core groups is often limited to direct presidential addresses and evaluations of the president’s personal qualities. The researchers discovered that formal appeals, especially the Oval Office address, were more effective than others, and that given the presentation both the President’s base and opponents rallied behind him on policy issues (to some extent). In light of these findings, it seems to be a good choice that President Obama agreed to move his jobs speech, as it would be competing with viewers of the latest round of GOP presidential primary debates, those exact ‘putative opponents’ President Obama might be able to persuade! It is not winning the Iowa caucuses that matters, but doing better than expected by the media. The Iowa caucuses play a greater role in the presidential nomination process than they have in the past. What happens in Iowa reverberates throughout the country both in terms of mass media coverage and individual level voting decisions in the primaries. The authors argue that the Iowa caucuses promote grassroots campaigning and engagement with voters; help to ensure that more money does not necessarily guarantee victory; and promote a healthy democratic debate. 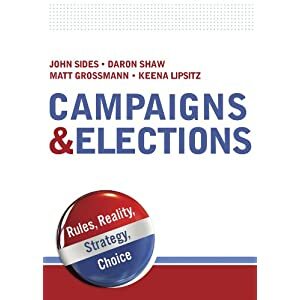 The authors propose a “window” during the primary season where any state could run a caucus during a specified time period. NATIONAL LABOR RELATIONS BOARD. The NLRB has been in the news a great deal lately, most recently with the controversy over Boeing’s move to make airplanes in South Carolina. In a 1985 paper, Stanford political scientist and bureaucracy expert Terry Moe found that the NLRB responds both to politics and the economy: its decisions tend to favor labor more when a Democratic president is in office, inflation is low, and unemployment is high. It favors business interests when the conditions are the opposite. This would lead us to expect partisan disputes over the NLRB, which is exactly what we are seeing today (e.g. the Obama administration’s appointment of Craig Becker). …party stereotypes are more powerful than gender stereotypes, and that assessments of candidate attributes can be affected by news coverage when candidates are portrayed in ways that challenge traditional partisan images. The results suggest that gender stereotyping is limited by the relevance of party stereotypes, and that as the Republican and Democratic parties continue to polarize at the elite level, the importance of partisan stereotyping is likely to increase. It is important to not just see women as women, but to see them as partisans as well, especially as women rise in the ranks of the political elite.